Esplanade at Hacienda Lakes has announced new home models. 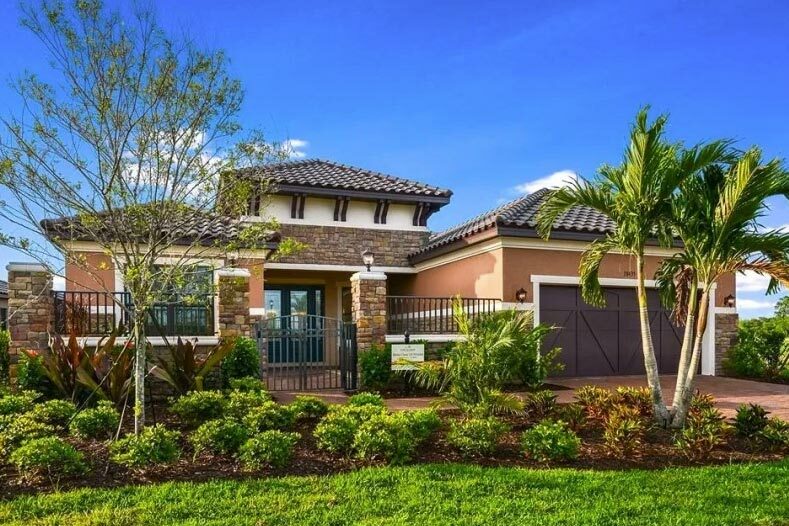 Award-winning builder Taylor Morrison has announced plans to unveil its new twin villa homes at Esplanade at Hacienda Lakes in Naples, Florida. The new twin villa home designs feature elegant master suites, spacious living areas, designer kitchens with energy-saving appliances, flex spaces, and covered lanais. Although floor plans and pricing have yet to be released, active adult homebuyers can rest assured knowing that Taylor Morrison will provide quality-built home designs that cater to the 55+ crowd. Esplanade at Hacienda Lakes is a gated, luxurious active lifestyle community that was opened in 2014. At build out, the community will host 443 homes spread across 152 acres of lush landscaping and 30 acres of scenic lakes. Currently, Esplanade at Hacienda Lakes offers a variety of single-family home designs that range from 1,676 to 3,144 square feet and are priced starting from the low $300s. In addition to innovative home designs, Esplanade at Hacienda Lakes also offers homeowners world-class amenities that support a healthy and active lifestyle. The 6,500 square-foot clubhouse features a fitness center, gathering center, catering kitchen, and multi-purpose rooms. Just outside of the clubhouse, residents also have access to a resort-style pool with lap lanes, resistance pool, spa, covered lanai, cabanas, fire pit, event lawn, dog park, tot lot, and sports courts for pickleball, tennis, and bocce ball. Ideally situated in Naples, Florida, which was named as the happiest city in the U.S. by a Gallup study, allows residents to enjoy easy access to shopping, dining, cultural attractions, and entertainment as well as Marco Island and the Gulf of Mexico beaches. Request more information on the new floor plans at Esplanade at Hacienda Lakes!